FREMONT, CALIF. —July 18,2017—American Portwell Technology, Inc. (www.portwell.com),, a wholly owned subsidiary of Portwell, Inc., a world-leading innovator in the Industrial PC (IPC) market and an Associate member of the Intel® Internet of Things (IoT) Solutions Alliance, today announces the release of the PCOM-B700G, a COM Express® 3.0 Type 7 Basic Module (125mm x 95mm) based on the Intel® Xeon® processor D-1500 product family (codenamed Broadwell-DE). PCOM-B700G is designed according to the new COM Express® Type 7 standard. The module optimizes value models and service levels by running network applications securely and reliably on virtualization-optimized platforms. 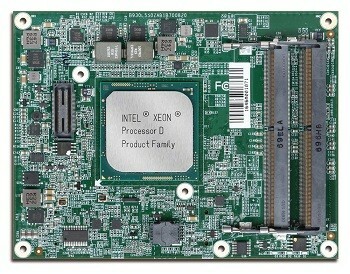 In addition to the PCOM-B700G, Portwell also introduces a Type 7 evaluation carrier board, PCOM-C700. American Portwell Technology, Inc., is a world-leading innovator in the embedded computing market and an Associate member of the Intel® Internet of Things Solutions Alliance. 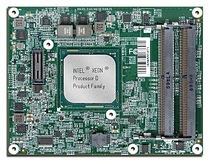 American Portwell Technology designs, manufactures and markets a complete range of PICMG computer boards, embedded computer boards and systems, rackmount systems and network communication appliances for both OEMs and ODMs. American Portwell is an ISO 9001, ISO 13485, ISO 14001 and TL 9000 certified company. The company is located in Fremont, California. For more information about American Portwell’s extensive turnkey solutions and private-label branding service, call 1-877-APT-8899, email info@portwell.com or visit us at www.portwell.com. Source: American Portwell Technology, Inc.